The YMCA provides safe and reliable transportation each day for our campers to begin their adventure! 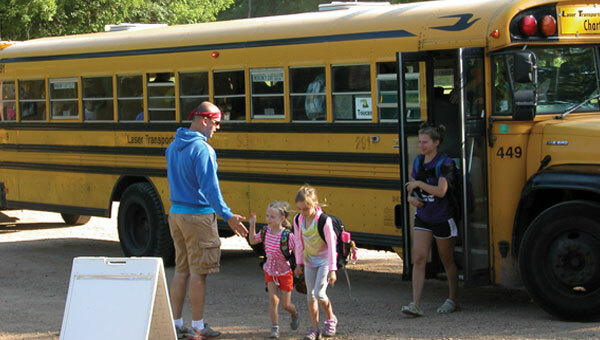 Bus stop locations for Manitou Day Camp are available throughout the communities listed. Transportation is provided by YMCA-owned vans, leased vans, and buses. All drivers have completed special training. Campers are expected to follow our bus rules and safety guidelines. The bus sites are not supervised before pick up times or after drop off times. Please be on time, as your delay will affect others. Campers not picked up by an adult on the list will be brought back to the YMCA in New Hope. Authorized Pick Up individuals must be listed on the registration form and a photo ID is required at the time of pick up. Please contact the camp at 763-295-5454 to make any changes prior to noon on the day of the change.